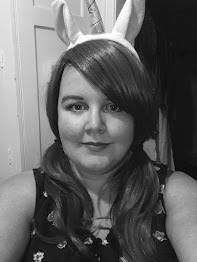 So, first of all, yes this post is a week late - that would be because my internet decided that it didn't want to work at the beginning of last week and then I went away for a few days. But without further ado, here is my review for a product that I was incredibly excited to try out. So, how does this product from the busy bees at Lush compare to other liners that I've tried out over the past couple of years? I'm really intrigued by the branding around this range. 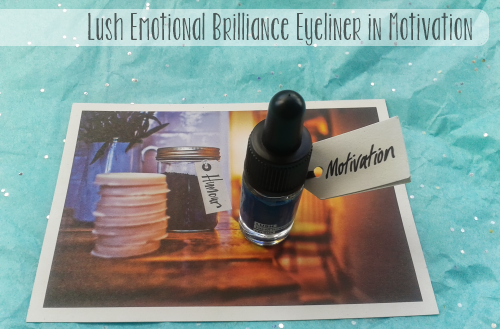 Emotional Brilliance seems like a strange name for a make up collection, and the name "Motivation" is intriguing in itself. As someone who is a huge believer in positive beauty, I've found myself liking the energy around this branding, because I really do think that both make up and certain colours can (and do) effect how we feel about the world, and ourselves. "Inner Confidence. The world is your oyster when you are FEELING SECURE. You are unshakeable and unstoppable because you will be FEELING SECURE about whatever you set out to do, with an inner confidence that is enviable. Just check your other two emotions and make sure you are justified in FEELING SECURE." "Believe in yourself. You might need a little bit of self-belief today, and that is why your subconscious is asking you for some confidence. Wear this colour to give you the assurance you may need at this moment, and let it remind you of what you require as you continue your day." "Passionate. It is the PASSIONATE people who feel strongly about something that make things happen. This is your talent or aspiration, so you know what? 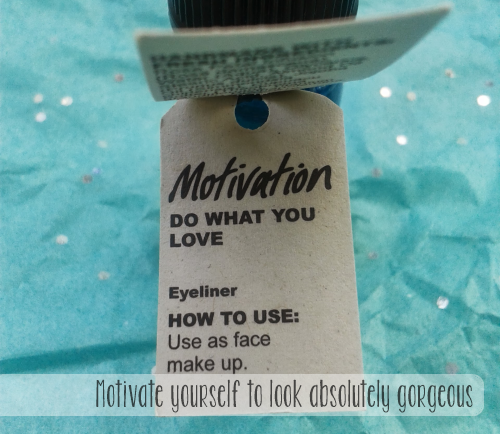 Make the decision, wear this lipstick and get on with using your talent. Let the PASSIONATE side of you loose." I'm not sure what can really be read from my colour choices, but it was interesting no less. I absolutely adore the packaging of the Lush Emotional Brilliance Liners. It's completely different to the type of packaging that I'm used to, and it made a nice change. It reminds me of an eye-drop bottle, but I should point out (in case anyone wondered), the lid doesn't "squish" like a dropper! When I first pulled the brush out of the bottle, I have to admit that I wasn't very impressed. The brush seemed chunkier than I like (I generally prefer finer brushes), and the bristles were a bit bent, whilst the product seemed crusted on to it. It almost seemed like the product was a bit old. Nevertheless, I still gave it a try, and without putting much effort into it, I applied it in thick - quite dramatic - lines across my eyelids, and I was amazed at how easily I was able to apply the colour (more on the colour in a minute!). It applied so smoothly, and the so neatly that even I managed to create a good line, including a wing at the end. Here I should point out that I am awful at doing wing-flicks, but they seemed quite easy with this brush. Not a brilliant image, but you can see the lines which are quite good for me! You can also see that I've managed to smudge it - accidentally. One thing that I will point out about this eye-liner, is that is takes a really long time to dry. There are good and bad things about that. Good: It allows you to blend, smudge etc your liner if you want to, which is great for subtle looks, or for an all over the eye look. Also, if you make a mistake, the fact that it is still "wet" so to speak, makes it a bit easier to correct with less hassle. Bad: If you are just applying it as an eye-liner, you have to be really careful not to move or blink in case it smudges, which can be a little bit annoying. 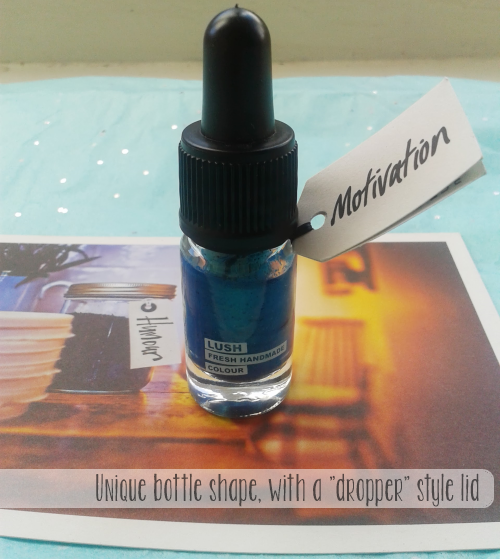 Motivation is described by Lush as being "peacock blue", and that is definitely the colour that the images make it look through the bottle. However, this image (below) I think it a much more accurate example of how the colour really looks, and personally I would describe it as a green-blue. The colour is stunning, and very pigmented. I could describe as being a combination of Urban Decay's 24/7 pencil liners in terms of colour, but more like Barry M's coloured liquid liners in application and overall feel. 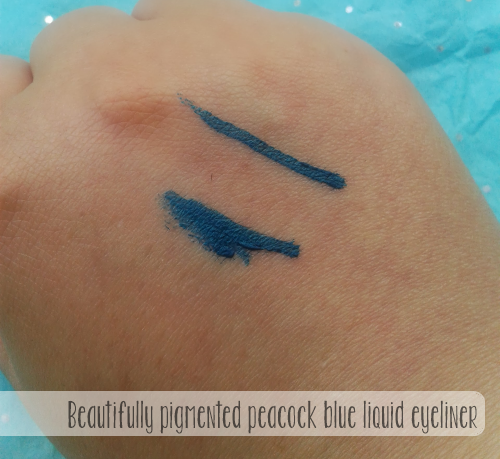 This was definitely a more bold colour than I've had from Barry M (I mention Urban Decay and Barry M because they are my favourite liners when it comes to coloured pencil and liquid liners). At £14.50, the price is the only thing that really put me off these liquid liners. They really are beautiful, and I love the way that they apply, however I'm just not convinced that I could justify paying that when I have a collection of colourful pencils, and a cheaper black liquid liner. The price is definitely more than I would choose to pay for one liner alone, which is a shame. Which product are you most happy to pay more money for? What is too much when it comes to liquid liners?